An early morning jaunt to Dainty Maid Bakery resulted in a chocolate-glazed custard doughnut, cake doughnut, maple-glazed cinnamon roll, and a plain yeast glazed doughnut. The Custard. 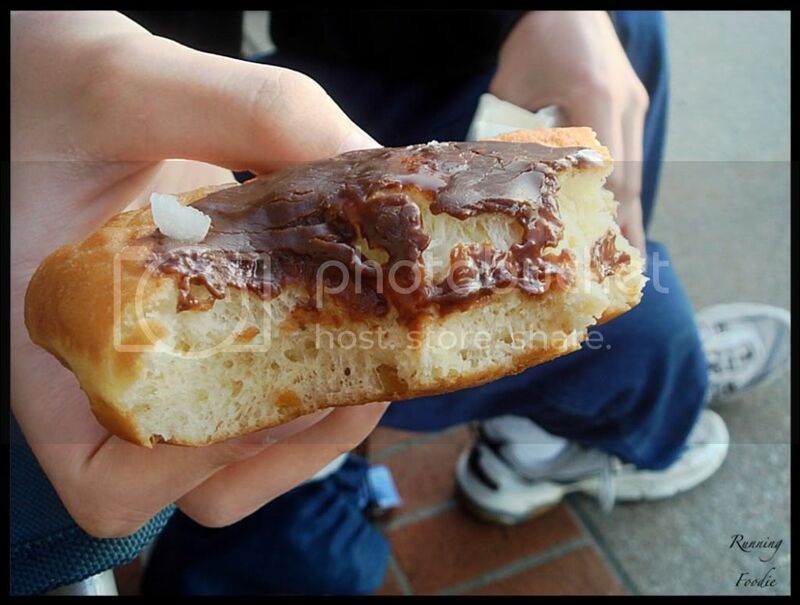 My brother wondered why the glaze only covered the very middle of the doughnut. Was it a map outlining where the custard was? My favorite doughnut is a cake doughnut. Well made, it should be a bit crispy on the outside, and the crumb should be between dense and fluffy, but always moist. The flavor depends on who makes it, nutmeg, vanilla, whatever. This was vanilla. Also, I like it because it's not as sweet as a glazed doughnut, be it yeast or cake. This was a good doughnut. News from the front via my brother: We've made our way around the perimeter, but we have yet to make contact with the custard! Maple-glazed cinnamon roll. There was nothing great about this at all. The dough was not enriched, it wasn't even sweet, I'm pretty sure they used regular white bread dough, sprinkled the inside with cinnamon, then slathered frosting on at the end. Without the frosting, this would have been a mouthful of blegh. We've made contact! The custard was pretty good. Not the best ever, but there have been worse. The dough parts, however, were flavorless. A plain yeast glazed doughnut. I didn't taste this, but I'm sure it was exactly the same as the others: bready, flavorless, and lucky it had a thin layer of icing to add some taste. 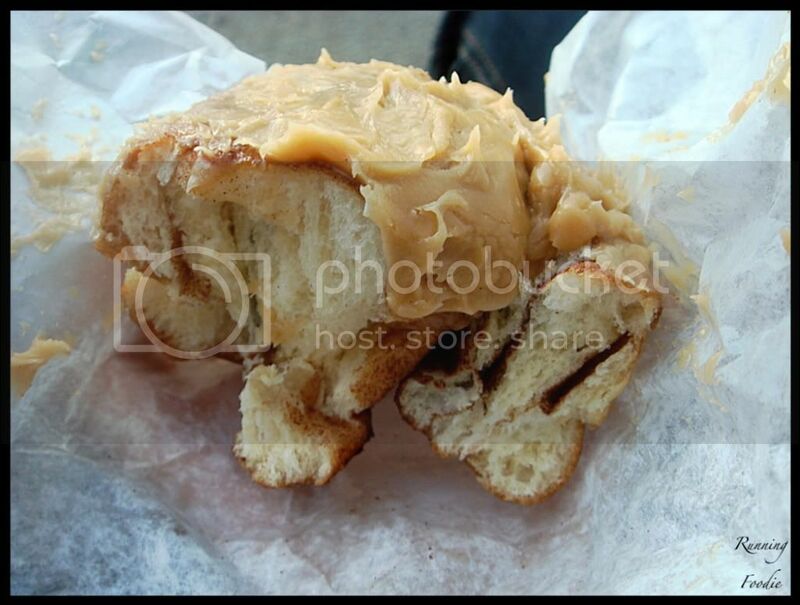 So, fellow blog readers, if you are in the area of South Bend, IN, and want a doughnut, do not go to Dainty Maid Bakery. Such great pictures...and those donuts look too good! I swore off doughnut shop doughnuts some time ago for all the reasons you mention. They're just...gross whether you're in South Bend or SoCal. Period. What I can't get past is the taste of the fat they fry in. YUCK. Way to lay it on the line here! Im see your Dim sum post in my reader but cant acess it ti to comment. Im impressed. Making dumplings is on my to do list but I konw they will come out big and weird. Yours looks excellent. You hit the nail right on the head with the custard dounut. 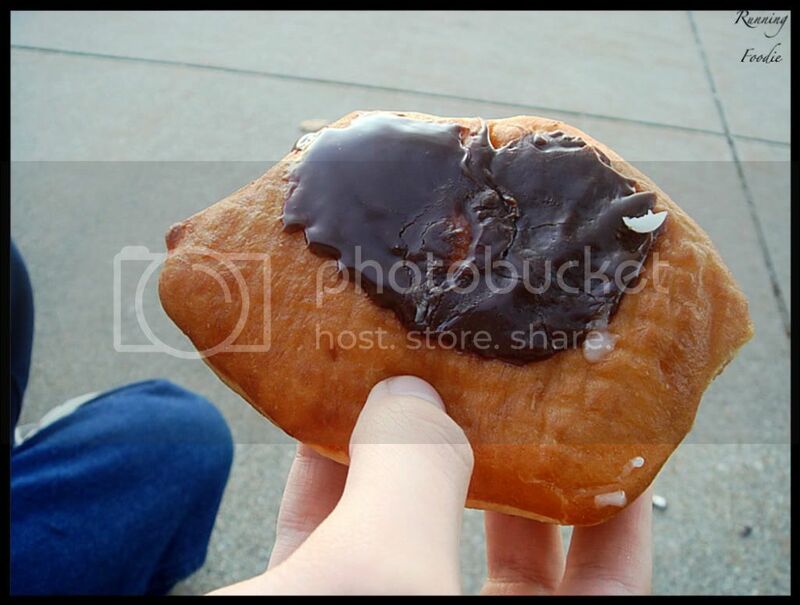 A dounut peeve of mine is like eating half the dounut before you make custard contact. 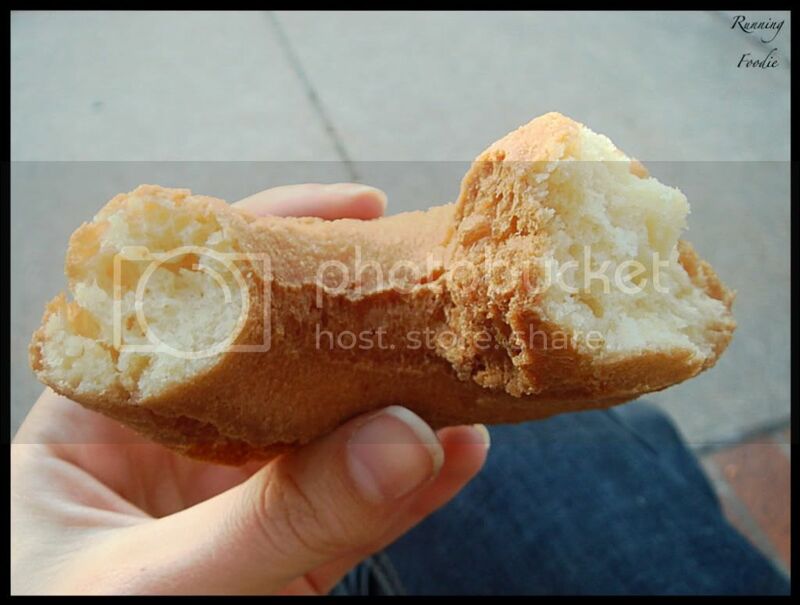 I mean the whole point of the dounut is the filling. They like to keep us in suspense or something. Thanks for the review... it's nice to know you have our backs in IN. VeggieGirl - I really just like anything maple, especially those maple candies! Darius - Natural lighting, the best for pictures! Kellypea - Ah, I'd had to say that all mom and pop bakeries turn out bad doughnuts, just the ones who don't know what they're doing! (Which inevitably seems like... all of them?) 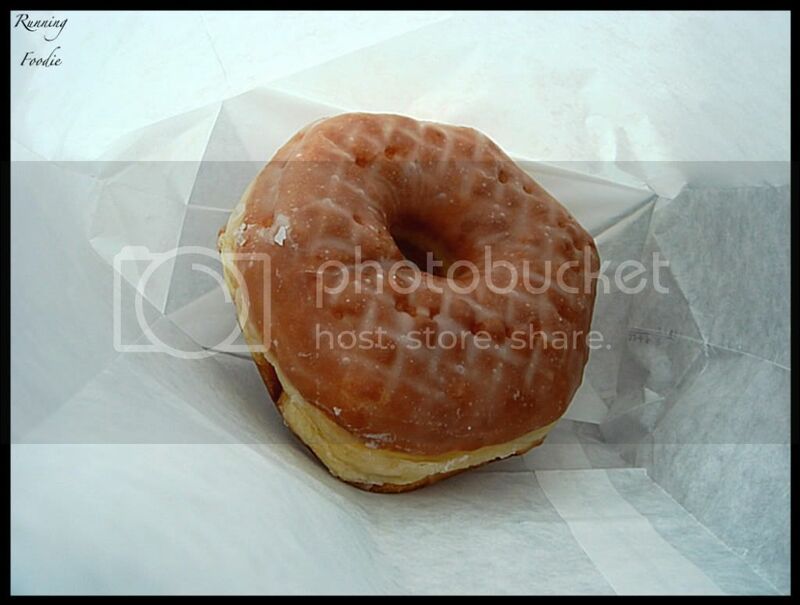 There is a little place locally I need to try out that supposedly makes great doughnuts. Glamah - Yes, I know! I was editing the post yesterday and I meant to save the draft, but I clicked 'return' and that publishes the post. The potstickers post is now up, though. Adam - But why must they all do that? It's like a secret stingy code for the doughnut underground!